Our latest ranges of door canopies, porches, window boxes, trellis panels, steel planters and fireguards can now be seen in our latest 2013 brochure – download it from our site or call us for a printed copy and price list. New images and testimonials from some of our customers – real customers – are also included, providing reassurance that we really do care about what we do. We always endeavour to produce well designed products that are made to a very high standard using the best materials available. 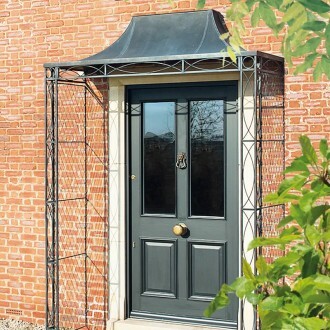 Having the design, engineering and production skills to translate bespoke ideas into reality explains why some customers and designers return to us time and again with their door canopy, porch or garden trellis requirements.